Tees for kids of all ages. This cotton drawstring bag features the same wonderful illustrated aleph bet print as our popular t-shirts. Want to order for a class? Contact us for details! A great way to introduce the Aleph Bet! 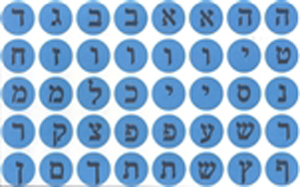 Each shirt features the illustrated aleph bet from alef to tav. Available in White, Powder Blue and Gold. Sizes 2T, 4 and 6. More sizes available soon! A great idea for field trips and class outings.